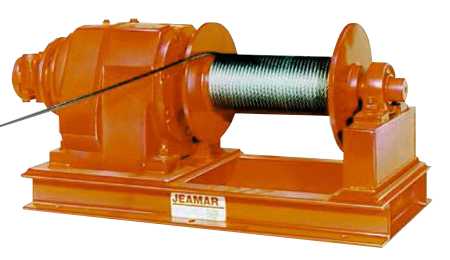 Jeamar’s Winch Drums Are Steel Fabricated and Designed to Specific Loading Capacity. Jeamar air motors are fully reversible vane type motors. Positive starting and precise control are central features of the motors, which have been designed for long life and low-cost operation. They can be stalled indefinitely under load without harm to the motor. Control valves feature proportional flow with spring return to neutral for “deadman” operation. Valves control the winch speed by varying air flow to the motor. With the control released, air flow is cut off, stopping the winch. Controls are supplied loose to allow for mounting that is appropriate to the application. All Jeamar air winches have high-efficiency helical gear reducers. Plus high-capacity, anti-friction bearings for long life, low noise and high output torque. Totally enclosed reducers make them weatherproof. A simple, direct-drive design increases the efficiency of the winch and eliminates drive chains or bull gears to maximize power output. Our winches are designed and manufactured for continuous, heavy-duty operation with a minimum service factor of 1 (one). 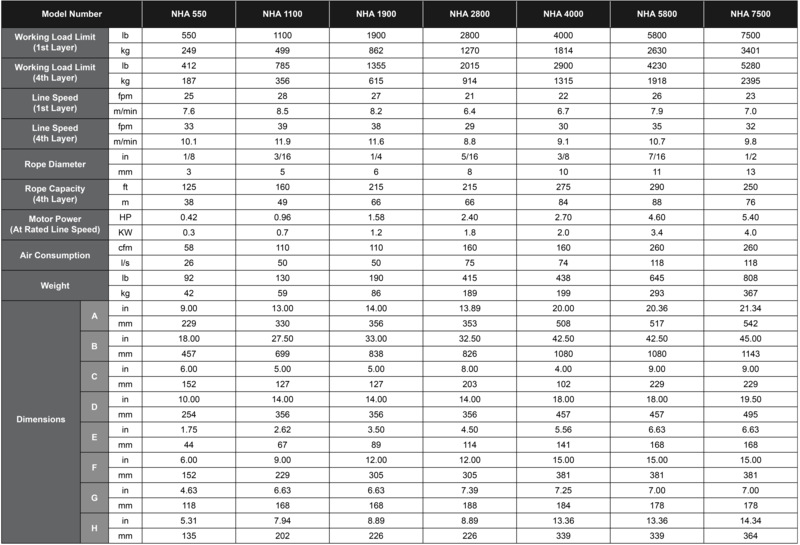 For detail on pulling railcars or pulling up grades, see technical notes. When the Air Tugger is used to move loads on an incline, it is essential that a brake be used. Contact us for any customized application you have.